This may not be the prettiest of cakes but what it lacks in looks, it more than makes up for in taste. 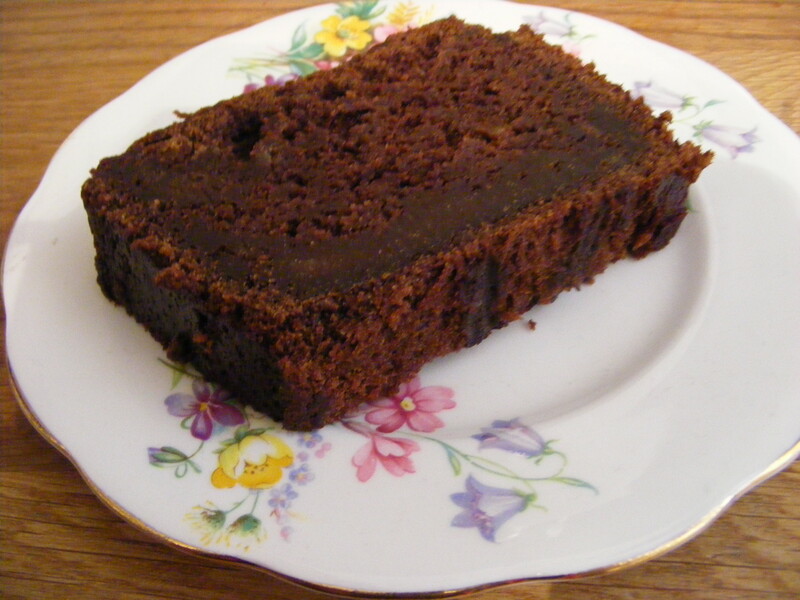 I’m not really a lover of chocolate cake, I much prefer lemon cake or carrot cake or better still a biscuit or 3! I make the exception, however, for this one. It is rich, sweet and deliciously dense! Yummy! I made this cake to take to my sugarcraft class last night. I take them a cake or cookies every week to have with a cuppa whilst they work. Usually I have written the recipe up on this blog so when they ask for it I can simply say “Check out my blog”. I was in so much trouble last night when I confessed that I hadn’t actually written this up. So this one is for my sugarcraft ladies so that they can stop moaning at me! It is not my recipe but one of Nigella Lawson‘s, the domestic goddess herself. Nigella is my inspiration when I’m after something scrummy and I have adapted and developed so many of her recipes over the years, I have lost count. This cake is simply divine. It is gorgeous cold or served warm straight from the oven with a dollop of ice-cream which is how my son had it last night. It is also really easy to double up so you can have one fresh and one for the freezer. Beat in the eggs, chocolate and vanilla until mixed but not whisked. Fold in the flour and bicarbonate a spoonful at a time, alternating with the boiling water. Bake at 190C / 170C fan for 30 min. The cake will be squidgy in the middle when tested and will fall back in on itself on cooling. This what helps to make it so dense. It also gets better with time!